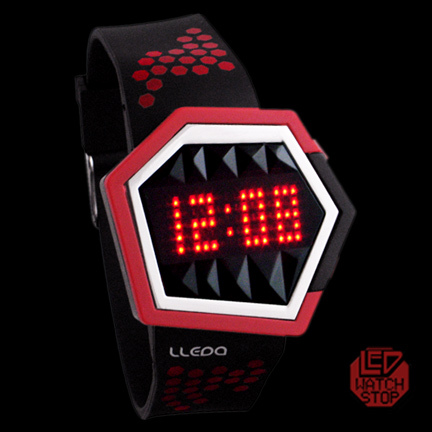 A fantastic and fashionable sports LED watch featuring bright red dot matrix display and state of the art touch function (touch ring on outer display). Constructed from durable polymer with stainless steel back & 4 screws, complimented by a comfortable polyurethane band and classic buckle. A cool timepiece that will create envy and attention and is destined to become part of your manditory gear. • Push button #1 or touch sensor ring to display time.